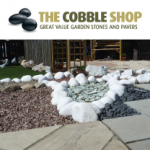 Business Description: The Cobble Shop offers great value garden stones and pavers with free delivery across Ayrshire. Looking for Landscapers in Ayrshire? give us a call.